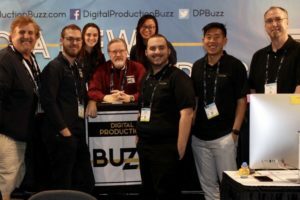 During the NAB show, the Digital Production Buzz produced 27 shows, 108 interviews – all in 3.5 days. It was an intense time, but we had a great team, great guests and lots of fun presenting these shows to you. Here’s the link for all our coverage. Pick any company and discover something new. Here’s what we did. 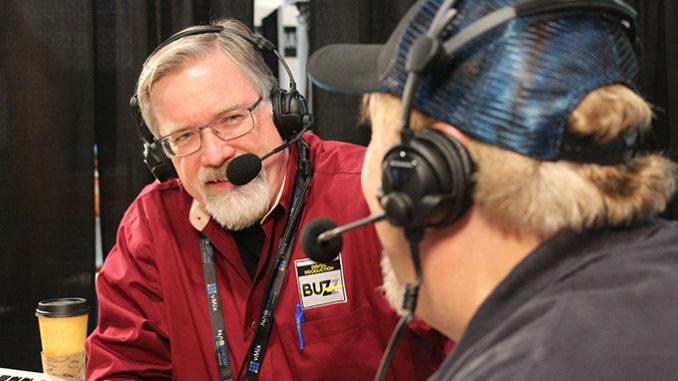 Here are all the individual interviews we did at NAB – if you don’t want to listen to an entire show, you can pick and choose from these. I want to thank a truly great team for all their hard work at NAB – especially Debbie Price – you made the entire process fun. I also want to thank the transcription team at Simon Says for this fast turnaround on all the show transcripts. You’ll find a scrolling, synced transcript on every show page. For now, though, I’m catching up on lost sleep. Until next week, edit well.